The DxDiag report allows Player Support to check your hardware and driver dates, so we can help you with a technical issue. 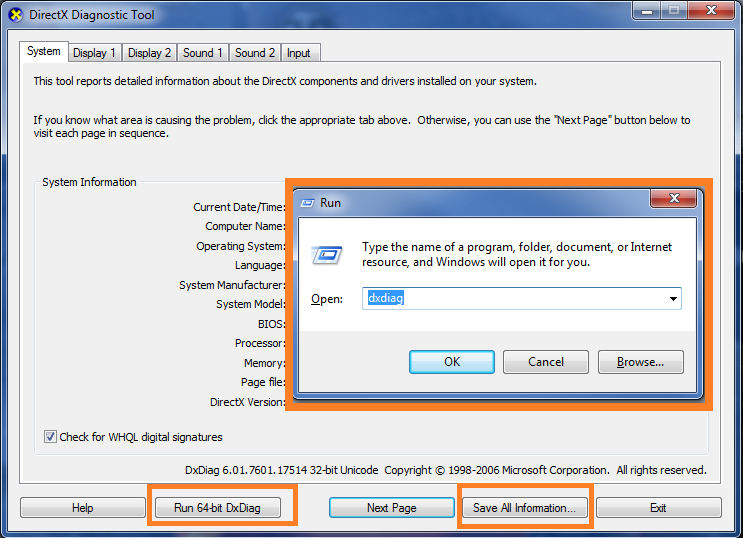 Click "Start" or pres "Windows key" + "R"
Type "dxdiag" and press "OK"
In the new window, choose "Save all information"
After you've saved the file, attach it to your ticket. WoT - What are the system requirements?